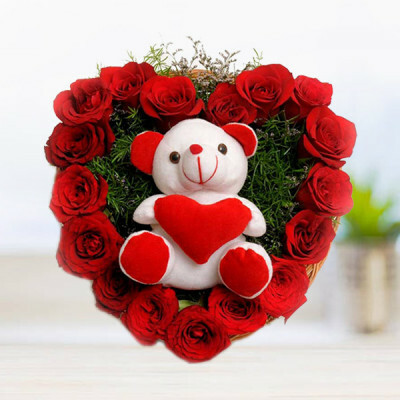 Celebrate the cuddliest day of the year and surprise your darling with online delivery of cute teddy bears on Valentine Teddy Day. Choose from MyFlowerApp’s extensive selection of soft toys and get them delivered anywhere, anytime with our trusted delivery services. 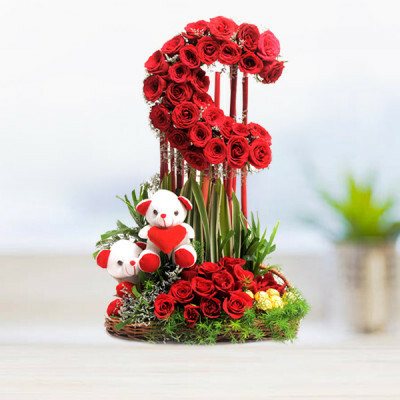 This 10 February 2019, send your love, hugs, and cuddles, online to your beloved with MyFlowerApp. 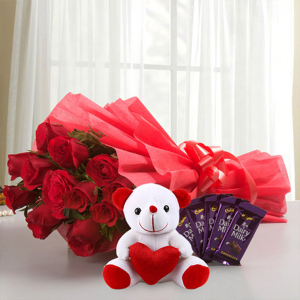 Celebrate Valentine Teddy Day with the love of your life despite the distance in nautical miles between you. 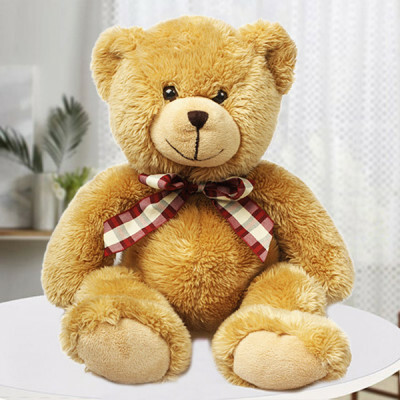 Send cute teddy bears anywhere in India and we will deliver for you. Express your love on the cutest day of Valentine Week with ease, whether you are living together or in a long distance relationship. 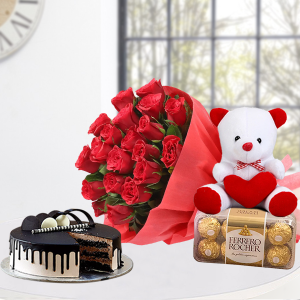 Fill your partner’s room by ordering ‘Roomful of Teddies’ or send baskets and bouquets of cuddly teddy bears. Reiterate your love by adding their favorite flowers, chocolates, cakes, and more with the combo, and getting them delivered to your soul mate’s doorstep. 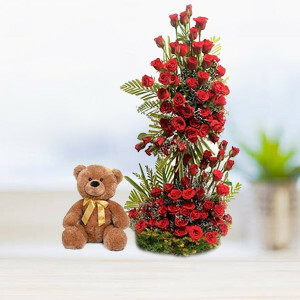 From tiny teddies sitting inside your floral arrangements to huge huggable, cuddly bears, you can order all you want here at MyFlowerApp. 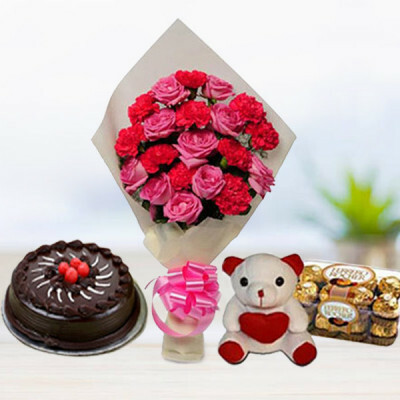 You can get delivery anywhere in the country with free shipping, including major cities like Delhi, Mumbai, Chennai, Bangalore, Kolkata, Pune, Hyderabad, and Gurgaon. 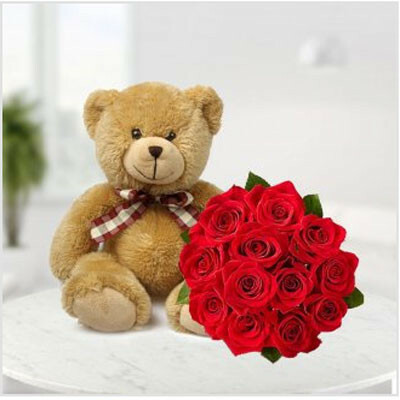 Peruse through our extensive range and order cuddly, lovable teddy bears for your husband, wife, girlfriend, or boyfriend. 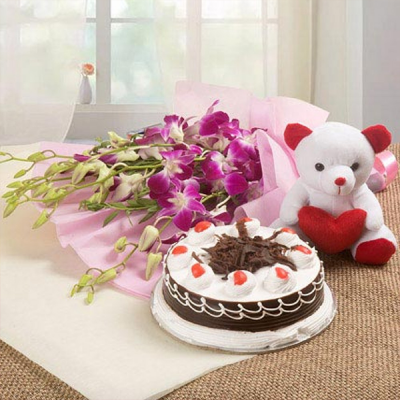 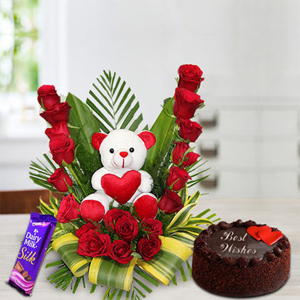 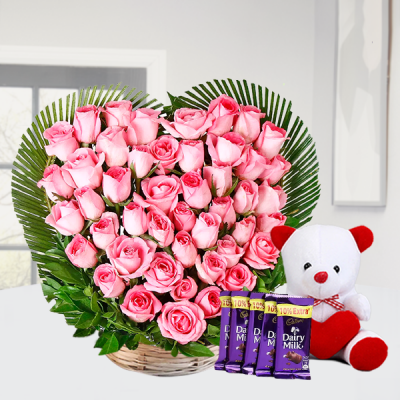 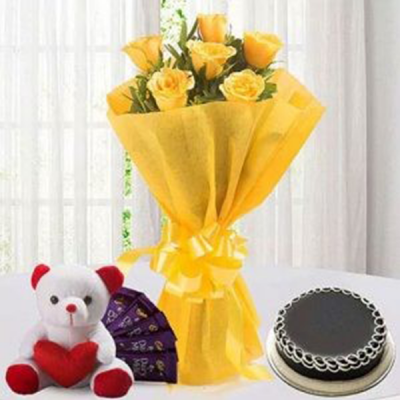 Include other Valentine Gifts they will love with the combo and get them delivered quickly with MyFlowerApp on Valentine Teddy Day. 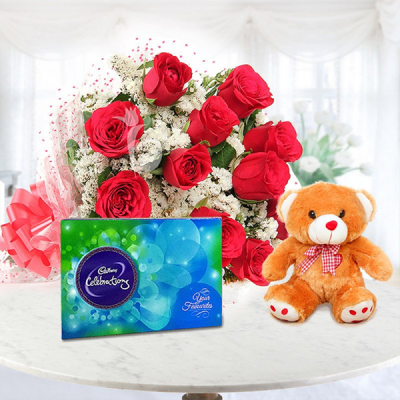 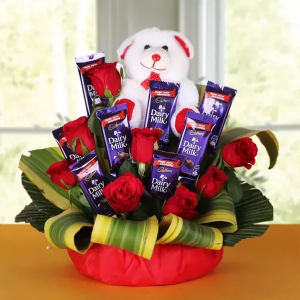 You can add a box of Ferrero Rocher with a cute medium-sized teddy bear, include their favorite flowers in bouquets, vases, and baskets, or get romantic floral arrangements of red roses and other mixed flowers. 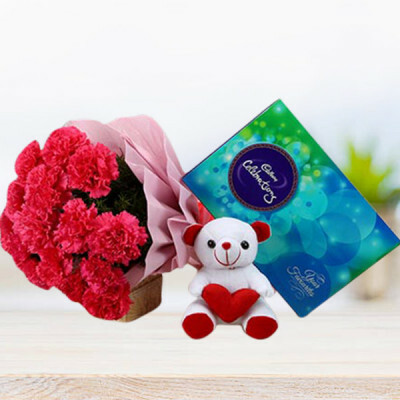 You can also add-on personalized gifts like Valentine mugs, cushions, key rings, and more featuring your images or something with special significance for you both as a couple. Add a cute message along with your teddy bear and other gifts, like “I am sending you this cute teddy bear so that whenever you miss me, you can cuddle it, and think that you cuddled me instead.” Make your surprise extra special by sending it with our midnight delivery and be the first thought on your dearest’s mind from that very moment. 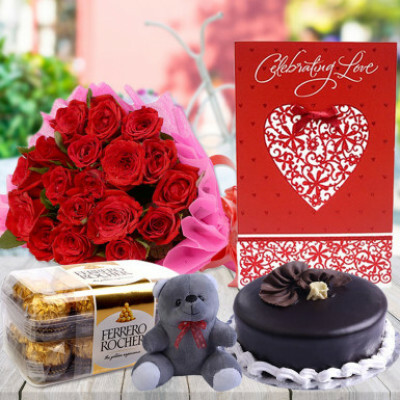 You can celebrate the entire Valentine Week as well, by sending gifts in accordance with the day being celebrated, with our Valentine Serenades. 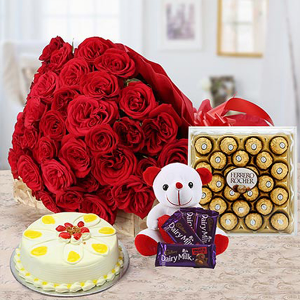 Send gifts for 2, 3, 4, 5, 6, 7, 8 days of Valentine, and we will deliver them for you, anywhere in the country and abroad. For the forgetful and the romantic, we have solutions for all types of lovers. Send cute teddy bears, this Valentine Teddy Day with MyFlowerApp, on time. Get delivery within 3 hours with our express delivery services or go for same day delivery. 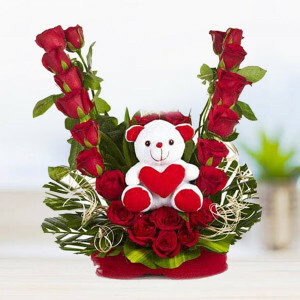 You can also send your affection through huggable bears with our early morning delivery services. 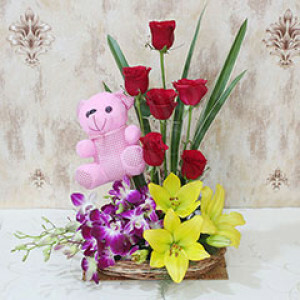 We cater to all of India and cover several other countries as well. 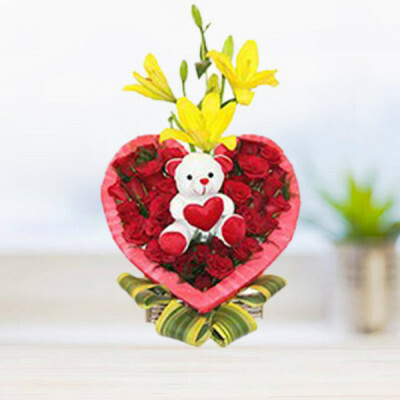 You can now easily send your love to Australia, Sweden, South Africa, Canada, United Kingdom, United States of America, Singapore, Malaysia, United Arab Emirates, Germany, and France as well.